This week I’m posting a series of (a few!) favorite throw back tattoos while I recover from knee surgery! I’ll be back in the studio later this week – thanks for your patience! 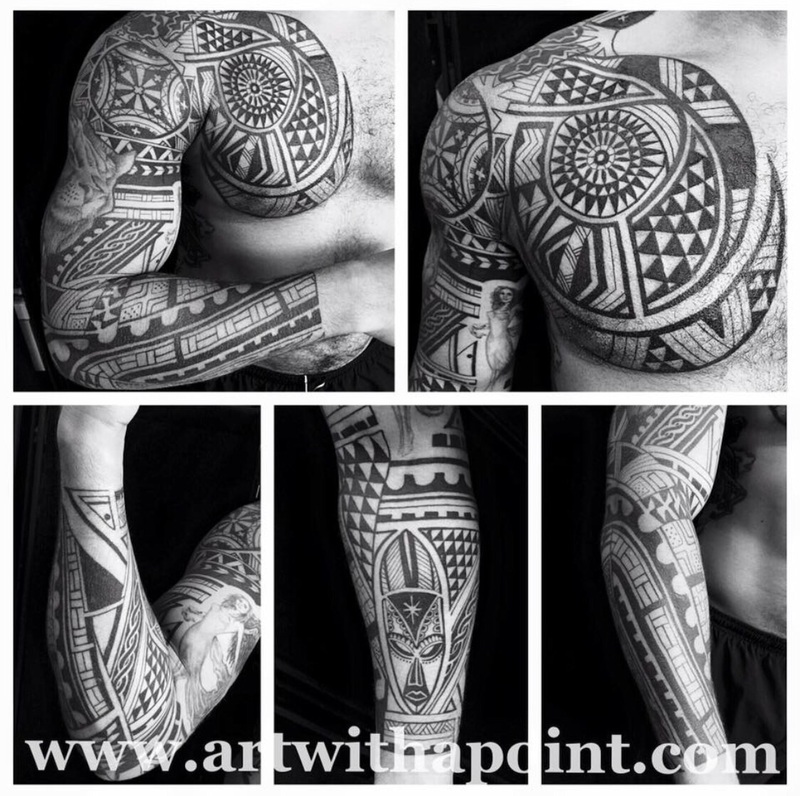 Traditional designs from Cameroon integrated into this custom black tattoo sleeve and chest panel.